Yahaya, L., Akinlabi (Nigeria), A. (2016). Equilibrium sorption of Lead (II) in aqueous solution onto EDTA-modified Cocoa (Theobroma cacao) Pod husk residue. Iranian Journal of Energy and Environment; previously called: Iranica Journal of Energy & Environment, 7(1), -. L.E Yahaya; A.K Akinlabi (Nigeria). "Equilibrium sorption of Lead (II) in aqueous solution onto EDTA-modified Cocoa (Theobroma cacao) Pod husk residue". Iranian Journal of Energy and Environment; previously called: Iranica Journal of Energy & Environment, 7, 1, 2016, -. Yahaya, L., Akinlabi (Nigeria), A. (2016). 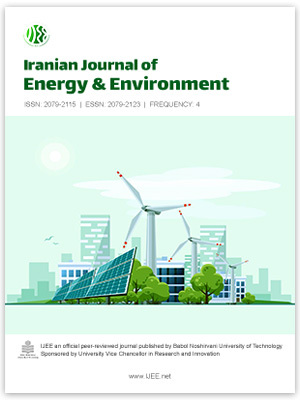 'Equilibrium sorption of Lead (II) in aqueous solution onto EDTA-modified Cocoa (Theobroma cacao) Pod husk residue', Iranian Journal of Energy and Environment; previously called: Iranica Journal of Energy & Environment, 7(1), pp. -. Yahaya, L., Akinlabi (Nigeria), A. Equilibrium sorption of Lead (II) in aqueous solution onto EDTA-modified Cocoa (Theobroma cacao) Pod husk residue. Iranian Journal of Energy and Environment; previously called: Iranica Journal of Energy & Environment, 2016; 7(1): -.